Most, if not all, NHL teams will put their prospects to the test in one of a number of tournaments in September. 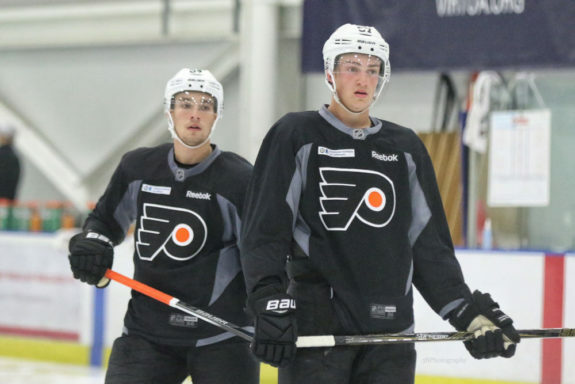 As of mid-July, 27 teams are slated to participate in a prospects tournament. There is no information regarding plans for the New York Islanders or Philadelphia Flyers. In addition, LA Kings Insider reported in April that the Kings would play a pair of rookie games against the Vegas Golden Knights. This information has not been confirmed by either team. Dates and times are unknown, but reports say games will be held at Toyota Sports Center, the Kings’ practice facility. Rosters for all of the below tournaments will be available closer to September. The Leafs and MLSE moved their prospect tournament this year. It used to be held at Budweiser Gardens in London, Ontario. This year, it moves to downtown Toronto, home of the AHL’s Marlies. In addition, it will be a three-team tournament, with the Penguins’ prospects headed elsewhere. Despite this, or perhaps because of it, it will still be a great tournament to watch. You’ll get to see players including Jeremy Bracco, Filip Chlapik, and Logan Brown. Ticket packages for all three games start at $30. You can purchase them here. Individual game tickets will be available at a later date. This is the second year the Sabres are hosting a prospect tournament. Last year, the Devils and Bruins also participated. This year, the Penguins join the tournament. Adding a fourth team will up the ante. The tournament will turn into a round-robin contest. Each team will play three games. There will be no games Sept. 10. If he takes part, the player to watch will hands-down be Devils top prospect Nico Hischier. However, don’t sleep on guys like Alexander Nylander and Charlie McAvoy. Tickets are $10 for each game. They’ll go on sale Aug. 10. The YoungStars Classic is now in its seventh year at Penticton. Prospects of the NHL’s Western Canadian teams once again face off. A total of six games will be played. Several ticket packages are available. The “Back to School” package includes game tickets and a commemorative backpack. A Premium VIP package also includes food and ice-level seating. Packages range from $75 to $300. Buy tickets here. 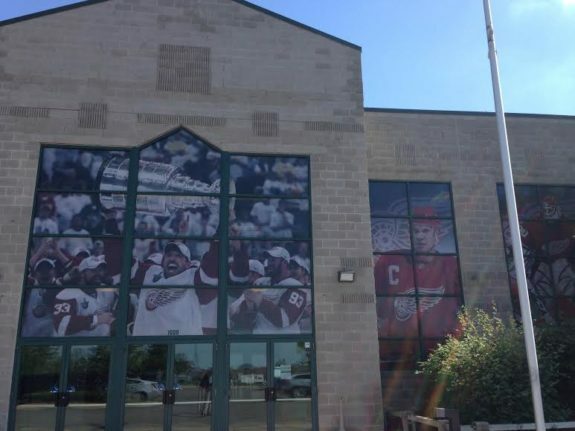 The Traverse City Tournament is one of the biggest NHL prospects tournaments. This year, it involves eight NHL teams. The Red Wings typically have the “hometown” advantage as they play closest to Traverse City. Teams are split into two divisions, named after Gordie Howe and Ted Lindsay. Last year, the Hurricanes’ prospects won the tournament. Teams play a total of 16 games over four days on two rinks. Find the full schedule here. General admission tickets are $10 each and are good for one full day. Centre Ice Arena, where the Detroit Red Wings hold their annual camps. This tournament is another round-robin one. Each team plays three games, one against each of the other teams. There will be two games each on Sept. 9 and 12. One game will be played each on Sept. 10 and 11. Ticket information has not been released. Finally, the Panthers Rookie Tournament is an interesting one. The mix of teams involved is intriguing. The Panthers and Lightning are division and interstate rivals. The Capitals are in the Eastern Conference with them, but the Predators are a whole different ballpark. Germain Arena is home to the ECHL’s Florida Everblades. The four teams will play a total of six games. Each team plays three games. There will be no games on Sept. 11.